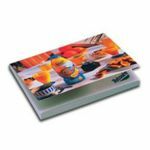 Available in a huge variety of colours and sizes, our promotional post-it notes are all you need to help to promote your business details and company logo this year. Once you've made your product selection we'll see to the rest. Have your business details and company logo printed on our promotional post-it notes today. Have a look around while you're here as we have loads more Promotional and Personalised items besides our Promotional post-it notes. To find out more about our Promotional post-it notes click here and fill in the contact form and we'll get straight back to you.